Geist, Valerius. 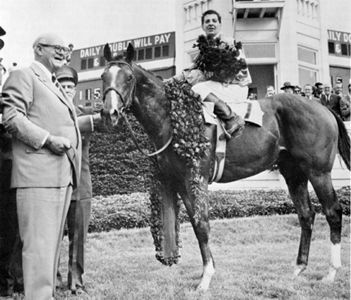 "Pronghorn". The Canadian Encyclopedia, 22 March 2015, Historica Canada. https://www.thecanadianencyclopedia.ca/en/article/pronghorn. Accessed 23 April 2019. The pronghorn (Antilocapra americana) is a small, very fleet ungulate of the order Artiodactyla. The extinct American cheetah probably helped shape the pronghorn, for it is now the fastest mammal in North America (Corel Professional Photos). Pronghorns are the only living descendants of the family Antilocapridae. They can run at speeds exceeding 100 km/h (artwork by Jan Sovak, 1989). The pronghorn (Antilocapra americana) is a small, very fleet ungulate of the order ARTIODACTYLA. It is the last surviving species of a once abundant and diverse North American family (Antilocapridae) of ruminants. 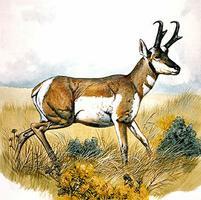 Although sometimes called pronghorn antelope, it is not a true antelope. 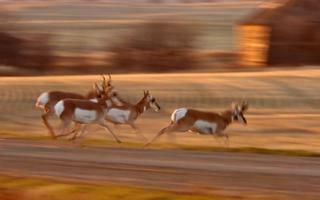 In 1900 they were near extinction, but the CONSERVATION and management of pronghorns has been successful. Rigorous protection and reintroduction have made them common in the western US. 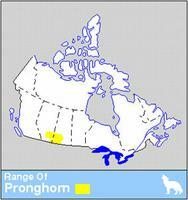 Southwestern SASKATCHEWAN and southeastern ALBERTA are the northern fringe of the pronghorns' distribution. The species reflects the harsh competition from predators American ungulates evolved alongside. The extinct American cheetah probably helped shape the pronghorn, as did the erratic PRAIRIE environment with its grass fires, BLIZZARDS, DROUGHTS and FLOODS. These factors resulted in a highly social, short-lived species, which possesses prominent, wide-set eyes and a large brain indicative of adaptability and learning. Sexes move together and readily travel hundreds of kilometres to avoid bad winter conditions or vacate burnt-over areas. 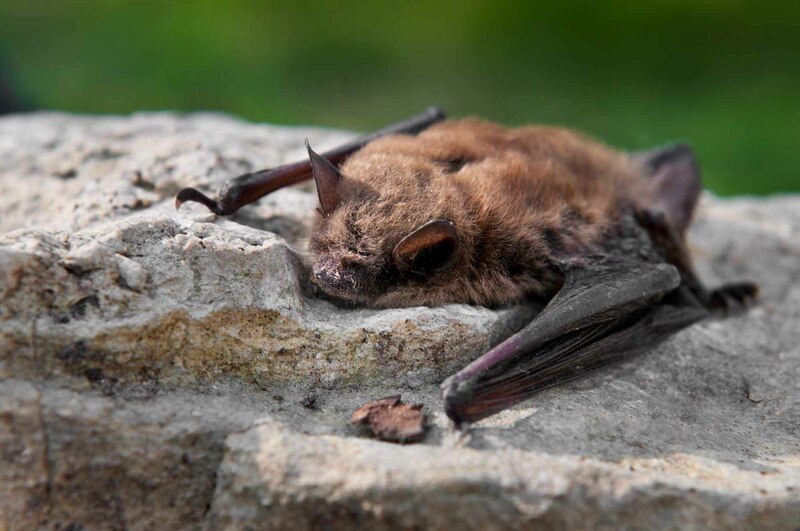 Its very high reproductive rate (twins are the rule) permits rapid restoration of losses from catastrophic kills by blizzards, drowning or fire. Reproduction is unique in that 5-7 embryos implant in the female's uterus after the rut. There follows a competition among the embryos of which only 2 survive, each in its own uterine horn. Horn growth is highly unusual in that the horns are shed annually after the rut and then commence growth, but from the tip of the furred horn sheaths, growing down as well as up. Like other plains ungulates, pronghorns have strongly patterned coats. Males and females are similar in size and appearance. When bucks shed horn sheaths after the mating season, they assume female form and become difficult for predators to detect. The loss of the horn sheath is unusual; in other bovids, the sheath is permanent. In mating season bucks are territorial in some populations, harem herders in others. Their life strategy is reminiscent of that of the Siberian roe deer.